Edgar stared at the woman on the bus through the corner of his sunglasses and wondered what her skull looked like. It was something he’d only ever thought about himself, and only ever when feeling in a particularly strange mood. But now he found himself wondering about this woman on the bus. He then wondered if it was because some part of him thought they looked similar and then she shifted in her chair and he decided that no, they didn’t. But still, he wondered what her skull looked like. 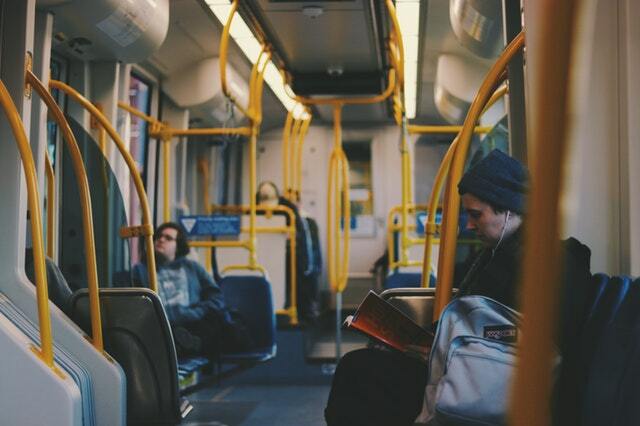 The desire was so great in his mind that he was most of the way towards forcing himself to talk to her when she pressed the bell and got off, leaving him alone with his thoughts and 37 strangers, including the bus driver. It was only two stops later that he realised he was supposed to get off at the same stop as she did and as a result arrived slightly sweaty a bit late to work. It wasn’t late enough for anyone but him to care, but he did hate being late. So, although no one had noticed, he returned from lunch 15 minutes early to make up for being 10 minutes late. He was neurotic and he knew it, but he also accepted it. Made allowances where he’d let himself and tried not to beat himself up over it too much when his neurosis would allow. He also would give into them when he knew that fighting wouldn’t work. So, he spent every morning for the next few weeks looking and hoping to spot the woman on the bus, and every evening standing naked in front of the mirror trying to imagine what his skull looked like. Then he’d take a shower and go to bed. He got no joy from any of it, but he knew that if he tried to stop himself, he’d just be locking himself into an internal argument that would prevent work and sleep and possibly get him back to a point of needing an intervention. So, on the 18th morning when the woman sat down next to him on the bus, he had to fight not to openly stare or say something creepy like. But did want to say something. She’d been leaning on his thoughts for so long he felt he owed it to himself to try talking to her, even though he wasn’t sure why. After a few minutes and just after the bus stopped to pick up its second load of too many people, he found himself scoffing and saying. Which got no reply. For a second he wondered if he’d actually said it, then wondered if he’d only whispered it, and then saw the earphone wire coming out of her hair and breathed a sigh and stared out the window until he heard a woman’s voice say. He turned quickly to see the woman holding her earphones and staring at the new horde of people cramming into the bus. The woman squeaked as she quickly turned to look at him and blushed crimson. Edgar blushed in response, quickly said. And turned again to stare out the window, mentally convincing himself that he would get off one stop later than usual so that he wouldn’t have to suffer the stress of following her. He then started to pray that she’d get off at the stop he was thinking so that it didn’t look like he was staying longer on the bus. Even though a part of him knew that she didn’t know which stop he was meant to get off at. When she got up left a few stops early, Edgar felt like he could breathe again for the first since their conversation. He then spent the rest of the morning wondering if she’d gotten off early because she was embarrassed, and then started plotting alternative routes to work so that he wouldn’t bump into her again. Then he realised that if she had gotten off because she was embarrassed maybe she was looking for alternative routes too and him changing his path might actually increase the chance of seeing her and after many hours of that internal dialogue, he decided it was time to call his therapist. His paranoia had spread to beyond the boundaries of his understand and he had become completely overwhelmed. He got signed off of work for three weeks, again, and was checked into a care facility. Which instantly made him feel a litter better and a lot safer. Right up until day three when a new patient arrived and he found himself staring at the woman from the bus, and once again started to wonder what her skull looked like. That afternoon he wept on the floor of his therapists’ office while babbling incoherently about skulls and girls, to the point that the doctor starts to note down every word just to make sure Edgar wasn’t confessing to a crime of some kind. It took a few hours but eventually, and with the help of some medication, they got him calm. Then after a few more days of very controlled supervision, Edgar agreed that he should in fact just talk to the woman. She, of course, was equally paranoid and neurotic and was equally confused and scared about seeing the man from the bus at her hospital. Although she had started to think that he wasn’t real and in fact a hallucination that was following her around. But with guidance, time and the promise of trusted supervision, they met. The conversation was very slow to start, then became very quick and awkward and then descended into a strange comparison of disorders, medication and bus time tables. And, after an odd three weeks, they left together as boyfriend and girlfriend. A year later they became husband and wife and four years later were expecting their second neurotic child, who was so scared of coming out and facing the world that he had to be removed by force and as Edgar watching his wife flatline in the birthing room, he found himself feeling like he was standing next to his body, watching everything from the outside and couldn’t help but wonder if the doctors would let him see her skull.